In the movie Annabelle Comes Home, the third in the Annabelle franchise, Judy (Mckenna Grace) becomes a target of the demonic doll, Annabelle. 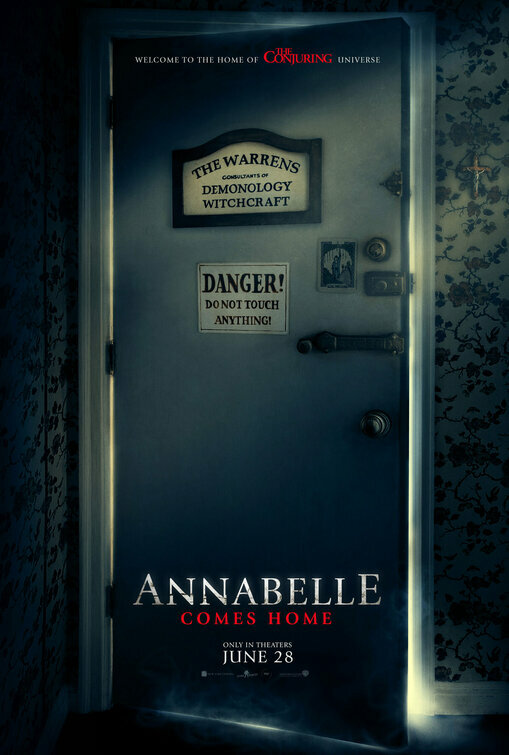 Annabelle Comes Home, the sixth title in The Conjuring franchise, picks up with the Warrens bringing the Annabelle doll to a place where she can no longer wreak havoc: their Artifacts Room. Annabelle awakens the room’s evil which sets its sights on a new target: the Warrens’ ten year old daughter Judy. The young girl along with her babysitter (Judy’s teenage cousin) and cousin’s friend square off against the evil doll. The first Annabelle, a spinoff of The Conjuring, arrived in theaters in 2014 and took in $84,273,813 at the U.S. box office. The second Annabelle, Annabelle Creation, was released in 2017 and grabbed $102,092,201 in U.S. theaters. Timothee Chalamet plays the lead in the big screen Dune remake. In the David Lynch-directed original, Kyle MacLachlan was the headliner. The movie Birds of Prey is a spin-off of the D. C.